Kazakhstan, Germany, 2016, 88 min. 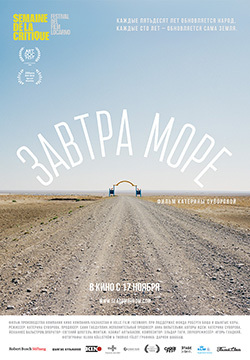 A journey along the coast of the Aral Sea, which exists no more. The sea has withdrawn, but the people have stayed. The locals say: “Every fifty years the people are renewed, every hundred years the ground regenerates”. Born in Belogorsk, Amur region, in 1983. Graduated from the Art school in Almaty. She learnt documentary filmmaking at the Higher Courses for Directors and Scriptwriters in Moscow and at the Rogue Film School of Werner Herzog in LA. She has received prizes of Russian and European film festivals.